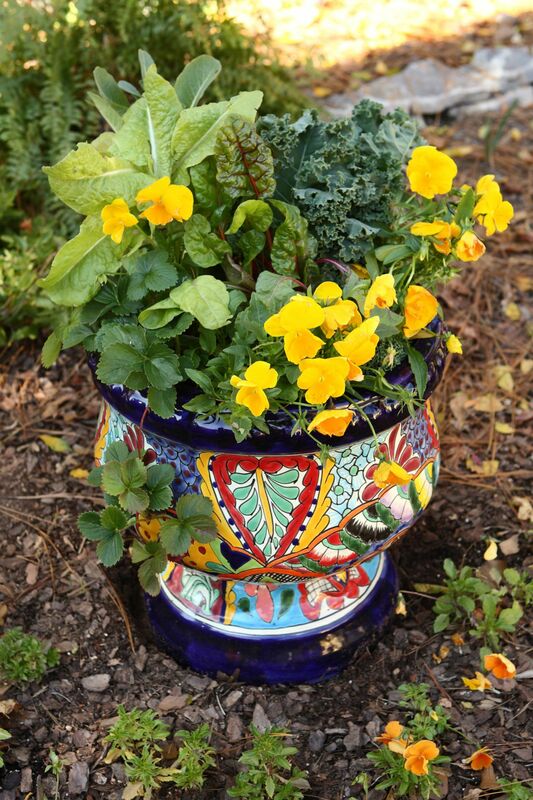 By Joan Casanova, Bonnie Plants, Inc.
Photographs courtesy of Bonnie Plants, Inc.
As autumn ensues and frost threatens, even avid gardeners may be tempted to pack up their trowels and call it a season. You may think it's better to leave the victory garden gracefully, than risk the disappointment of watching crops wither in chilly temperatures. 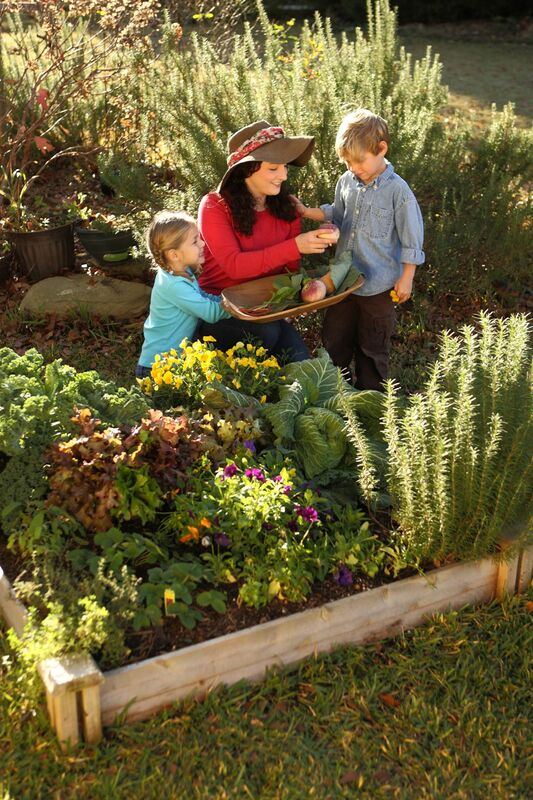 But fear of frost and failure don't have to stop you from enjoying a fruitful fall garden. With the right plant choices and a few tricks, producing a hefty harvest can be easy. Frost occurs when temperatures drop enough to condense and freeze the moisture in the air. In fall, when air temperatures sink, it's common to find frost layering the ground, leaves and crops. Frost may occur frequently in the fall before the ground really becomes frozen — known as a hard freeze. While a hard freeze generally heralds the end of the growing season and frost can harm warm weather crops like oranges, some veggies actually do very well — and taste better — when nipped by frost. By stocking your fall garden with frost-loving varieties, you can ensure your garden remains victorious and bountiful right up to the first hard freeze. Not sure when the hard freeze will occur in your region? Check out the USDA Freeze Map. When you consider the many advantages of fall gardening, frost shouldn't be feared. Cooler temperatures mean you'll have a more comfortable experience while working in the garden, and you'll have fewer insect pests and weeds to deal with. Just because the growing season is over for summer crops like tomatoes, you don't have to give up gardening before the cold winter weather. Instead, clear out the remnants of summer plantings and debris and get the ground ready for fall favorites like spinach, cabbage, collards and kale. These hearty, leafy vegetables — available from Bonnie Plants — actually like the chilly weather and can stand up to some frost. Certain root veggies, such as radishes and turnips, also do well in cooler temperatures. All are packed with nutrients, so you can plant them knowing you'll be filling your dinner table with fresh, nutritious, great-tasting veggies this fall. 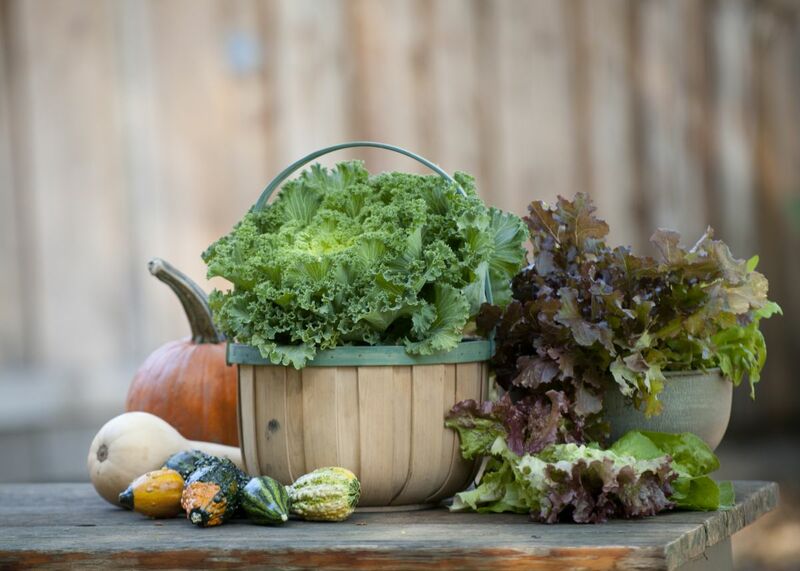 For a list of fall-weather favorites, tips and harvest advice visit https://bonnieplants.com/library/how-to-plant-a-fall-garden/. When planning your fall garden, time is of the essence. Start with well-established, vigorous plants like those Bonnie Plants offers in some regions at garden retailers. Starting out with more mature plants not only allows you to get your fall garden growing faster, it helps ensure your vegetables are strong enough to endure unexpected or extreme temperature variations. And remember to choose short-season varieties that will produce quicker in fall's shorter growing season. Even though your fall vegetables might be able to handle the cold, you may want an extra layer of protection for unseasonably cool nights. Fortunately, you can do a lot to protect plants from sudden dips in temps. Growing veggies in the right spot can make a big difference. Choose a location for your garden that gets plenty of sun, especially in the morning when you'll want plants to quickly shake off overnight chill. Planting in a raised bed also helps insulate plants and their tender roots from ground freezes. Container gardens are also great for fall; when a severe frost or hard freeze threatens, you can bring plants inside overnight for protection. Sometimes you may want to cover plants against extreme cold. One option is a cold frame. Typically constructed of wood and glass or plastic, the frame sits over plants like a portable mini greenhouse. You can build your own — an online search will yield plenty of how-to plans — or purchase a prefabricated one. For less severe situations, simply turning a pot or bucket upside down over tender young plants, or using a frost cloth can be enough to shield them from cold. When cool temperatures are the norm, you don't have to fear frost, or give up your garden. Success starts with choosing cold-hearty varieties that prosper and produce well in cool weather.